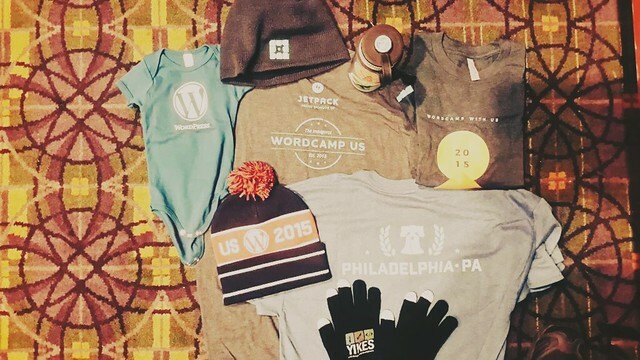 This year’s inaugural WordCamp US was hosted in Philadelphia. Over 2,000 WordPress makers and users attended the conference. Below are some photos I took while at the conference in Philadelphia. Here’s a direct link to the entire Flickr Album. Ever since I’ve been attending WordCamp SF, Matt Mullenweg would deliver his “State of The Word” , summarizing key concepts and developments in the WordPress world. Brian Krogsgard from Post Status posted his thoughts here. And the folks over at WP Engine put together a nice infographic summarizing the State of The Word. The Nepal earthquake was the deadliest earthquake to strike the region during our lifetimes. With a perspective of hope and optimism, we are looking for ways technology is being utilized to help in the recovery efforts. From the first moments of the quake to many weeks after, we’ve seen people mobilize on the ground, and online to help organizations, individuals, and communities recover. From day one tech companies have been making a real difference. Facebook activated the Safetycheck feature that helps people find out if their loved ones are safe. Facebook also stepped up to the fundraising raising plate. Over 750,000 people donated via Facebook, contributing over $15 million to support the International Medical Corps relief effort. Facebook donated an additional $2 million to local recovery efforts to help those in affected areas. Facebook did not act alone. Skype and WhatsApp also made call to the area free to place for days after the disaster. More than $415 million is required for the 8 million+ people affected by the earthquake in Nepal. As of May 19th, there has been only 17% of required aid met. To address these unmet needs, we asked “How might we support those who are committing to innovate, fundraise and help using #techforgood in Nepal?” It is in this spirit that we’ve created this resource guide. Whether you want to get involved directly or understand how social media, crowdsourcing and technology are making a difference, we hope this is useful for you. Below is a collection of our favorite tools and efforts that are making a difference today. For Nepal, map data is key to humanitarian missions. Opensource maps are giving critical information to groups on the ground. Read about the movement of thousands joining to map around the world. MapGive helps new volunteers learn to map and get involved in online tasks. Start an account and learn here. And make sure to take a look at the Open Streetmap in action. Anyone can logon and share data sets about Nepal to keep the public and relief teams informed. Launched by the UN Office for the Coordination of Humanitarian Affairs, the Humanitarian Digital Exchange is an open source platform where data comes to life. A picture is worth a thousand words. This picture, though, is likely worth alot more. Take a look at this to view the continued tremors visualized. The number of lives impacted is simply heartbreaking. Gift guides recommend giving cash over in-kind donations. So what kind of giver are you? We’ve seen a lot of momentum being built by crowdsourcing campaigns that aim to give directly to people and combat corrupt local officials that may misuse funds. NGOs and relief groups are also very helpful. They bring years of experience and are set up to release funds before you donate so they can respond quickly. The UN Central Emergency Response Fund (CERF) has already released $15 million to kick-start immediate life-saving relief work in Nepal. CERF receives contributions year-around so that humanitarian partners can act quickly when and where crises strike. UNICEF is on the ground working to reach 1.7 million children and their families with critical aid in Nepal. And via twitter, you can see direct appeals, get information & start helping very quickly. Looking to support untraditional disaster relief teams? Life IndieGoGo, Ketto.org, and #WeHelpNepal all have very successful crowdfunding campaigns to participate in and take note. We’re also seeing individuals expand their reach by starting crowdfunding campaigns for large NGOs! By acting as ambassadors for the organizations, individuals are increasing the organizations’ impact. And it’s all based on telling personal stories that cause like minded people to take action. Let us know what you find inspiring. How are you making change? Have you seen anything noteworthy worth sharing? What ways are you using #techgood to make a difference? This past SXSW, we hosted the Brooklyn Country Cantina in Austin. Literally. The website for the festival – brooklyncountrycantina.com – was hosted on our servers (managed by our hosting partners WP Engine) and was developed by our team using Make by ThemeFoundry. The Brooklyn Country Cantina is an annual party produced by The Defibulators and friends. The event features loads of bands and is an unofficial party that happens during the annual SXSW festival held in Austin. This year, we were on hand to help setup, tweet, post some videos, and provide some on site tech support. Here’s a short clip of The Mastersons – one of the many bands we shot – on video – during the earlier part of the day. The Mastersons at #bkcantina. Yummy harmonies. As we wrapped up the day, we posted a few photos to our Twitter feed. Overall, we were on site for almost 18 hours. That’s a long day. If you want some more good stuff, definitely check out the photos posted by The Bluegrass Station. They’re a fantastic set of images shot by a local Austin photog! Overall, there were about 30 bands over the course of the day. So we went ahead and made a little playlist for your enjoyment via Spotify. Hope you enjoy that music! We did. There’s loads of parties and bands that come to Austin for SXSW. According to Operation Every Band, there’s over 2,100 bands playing in Austin over just 1 week! That’s an average of 300 bands every day. Some bands we met played over 10 shows in just a few days. So we’re thrilled that some folks think this is the best party during the festival. Aw Shucks. Now we’re blushing. For even more SXSW musical goodness, make sure to check out NPR’s SXSW short list. It features 100 songs from musicians that played at SXSW. Some of those musicians played at our very own event. And all the songs are downloadable. Thanks, NPR!!! And many many thanks to The Defibulators for putting this whole shebang together! We’ll see you next year at SXSW! Last year, I rode my bike 545 miles in 1 week from SF to LA. With 2,500 other cyclists, we raised over $15 million to benefit the SF AIDS Foundation and the Los Angeles LGBT Center. This is what AIDS Lifecycle is. An amazing community of cyclists, activists, and caring people. All riding to make a real difference. This year, to help raise even more money, we’re providing web services in exchange for donations. And it all goes to AIDS Lifecycle. The way this works is pretty easy. You need web help. We provide that help. Instead of paying us cash, you provide a tax deductible donation directly to the ride. Not sure what we do? Take a look at our wide range of services. Interested? Just fill out the form below and let us know what you need help with. As part of our “Get Your Sh*t Together before 2015” campaign, we’re offering small businesses free Google Apps setup help. Well – if you’re still using GoDaddy, Yahoo, AOL, Hotmail, or yes – even a gmail.com email address for your business, it’s time to get your sh*t together. We’ll help you setup a professional, spam free, email address for your business (like YourName@yourBusiness.com) and make sure it’s being delivered by Google. We made an announcement on our Facebook page (below) but not sure if peeps saw it. So here we are. Writing a blog post. If you’re ready to “Get Your Sh*t Together” , contact us via the form below. Sure - I'm listening. What's up? Post by Arrow Root Media. If you’re a large business or enterprise and need help migrating your email to Google Apps OR you need help setting up your emails on your mobile phon tablet devices, please let us know in the form above. We can guide you through the process, but it won’t be free. Also – if we end up getting a crazy amount of demand, well, it’s free folks. We’ll do our very best to process and automate things as quickly as we can. We believe in the power in the digital tools to respond, shape conversations and take action in times of urgency. Our network has a rich trove of information and sentiment. We connect with community organizers and nonprofits every day in the media space. And so we are writing this post as an inspiration for everyone reading this. Dig deeper. Express yourself. Learn. Shape the dialog. And unite in solidarity with #Ferguson. Every action matters. Your voice counts. Do what you can. Don’t let apathy be the rule of the day. Stand together because #blacklivesmatter! Over the last few weeks, we’ve seen an amazing amount of Collaborative Community Organizing. And over the last few days, people in 37 states have been protesting in the street, stopping traffic, and expressing their desire for justice. Below are a few exemplary sites and projects we’ve found over the last 24 hours. And of course – if you have your own to share, please let us know in the comments! No Indictment.org is a google doc (as of now) put together by local community organizers in Ferguson. It’s been a great low-tech way to get critical mass, and massive collaboration in place. Ferguson Response is a collection of national events taking place. If you’d like to add your own event, or local action, go to the site. Or join an event already posted. This mailchimp newsletter from the National Bar shows their response and concern for due process. QZ posted a nice article on “things white people can do.” A great read on creating more empathy, and taking direct action. There has also been a focus on Social Media’s role in bringing people together. No surprise here. Tools like twitter and Nationbuilder have helped communities organize, fundraise, and spread the word. It’s been a welcome change to the mainstream media, and is a direct example of “democratizing publishing” as well giving people the chance to express themselves. #BlackLivesMatter is powerful not just as a microaffirmation, but as a hashtag, it becomes a group utterance, it ties us to each other. And if you are looking for a direct way to help – donate to Nicole Lee’s fund. She is voluntarily working as a legal observer in Ferguson, and documenting what is happening – on the ground. On a day to day basis, we provide countless organizations and businesses WordPress support. And WordPress’ mission is to “democratize publishing.” We believe that part of this mission extends to free speech, and the ability to express yourself freely – physically, technically, emotionally. So we support the efforts to organize locally. And to do what you can to make your life matter. We’d love to hear your thoughts. Please feel free to comment below and add your resources. Have an idea for a solution? Submit it to #FergusonNext, a solution-based collaboration between Guardian US Opinion, The St. Louis Post-Dispatch Editorial Page, Ebony.com, Colorlines, The St. Louis American and The St. Louis Riverfront Times. If you’re reading this post, chances are you’re looking for a performance boost. And that’s no surprise. A slow site can cost you dearly. In fact, over 50% of web surfers will ditch your site if it takes more than 3 seconds to load. So – what are some things you can do to speed up your WordPress site? 1. Check out the tips below for the DIY kind of stuff. We’ve got a short list of how we make WordPress sites speedy. And now you can too. 2. If you don’t have the in house knowledge, let us know! We’d be glad to do it for you :-). A great host can make all the difference. If your site is running on a slow server or bad host, it doesn’t matter what you do. Your site’s still gonna crawl. Case in point – we recently migrated FuseCorps.org from their old host to WP Engine. We used Pingdom tools to test the speed of fusecorps.org before and after the migration. Before the migration, the site took 6.25 seconds to load on their old host. After? The load time was 1.86 seconds. That’s more than 3x faster. The migration alone shaved nearly 5 seconds off the load time. And the site went from being slower than 76% of all sites on the web to Faster than 73% of all tested websites, according to Pingdom. Again – all we did was migrate the site to WP Engine. And this gave them a huge performance boost. Win! A CDN (Content Delivery Network) will make sure static files (things like images) are delivered from a nearby server. So if your site’s visitor is checking out your content in Maine, your images will be delivered from a server close to Maine. There are many CDN’s out there – personally, we love CloudFlare. And it’s free. We tend to use WP Engine’s CDN for our clients. But if you’re not on WP Engine (yet), Cloudflare is a great option to get going. Aside from W3 Total Cache, I’d recommend installing P3 by GoDaddy. This plugin will tell all sorts of things to help you identify what’s slowing down your site. One note : your host may not allow certain plugins (like W3 Total Cache) to run on their servers. This can be a good thing. It means they are savvy enough to take care of things for you! Whenever you visit a website, your web browser caches the content, the images, and other web files. Next time you visit the site on the same browser, it’ll be much faster to load. Just like your browser, your server can also have a cache enabled. Varnish Cache works in a similar way as your browser’s – except it’s the cache for your web server. And since WordPress uses a database for so many things, the server cache can store a large amount of database lookups, saving you and your visitors lots of time. Varnish Cache is typically setup by your hosting company or a sysAdmin. So – either ask your host or sysAdmin what they can do to setup Varnish. Or migrate to a host that already uses Varnish (are you getting the subtle hint to migrate to WP Engine yet?). Chris Coyier put together a great presentation on speeding up your site. Iliya Polihronov delivered a great talk at WordCamp SF, 2012 on “High Performance WordPress” – definitely worth a watch. Tuning your site is an ongoing process. This article is meant to get you going on specific things you can do today. Did we miss something? Have a suggestion on making this article better? Want to hire us to do this for you? Let us know in the comments! This year at WordCamp SF, Matt Mullenweg (the founder of the WordPress project), delivered the State of the Word – a compilation of 33,000 survey responses. We live tweeted part of it here. Throughout his presentation, Matt emphasized #mobile. From making the WordPress admin area responsive, to the fact that there are more mobile phones than there are people in the world, it’s clear that mobile is not only the future – mobile has arrived. Excited about the internationalization and mobile-first focus for WordPress 2015. #wcsf14 State of the Word. Nice job Matt! Overall, these updates will make Making WordPress easier. And hopefully, it will make the mission of WordPress – to democratize publishing – even easier. Did you watch this year’s State of the Word? What were some of the highlights for you? This weekend, Arrow Root Media (that’s us) sponsored Reallocate’s Hacktivation – a hackathon for the homeless population in San Francisco. For more info on that, check out our last blog post. What follows below is a summary of what our working group of 6 volunteer hackers did. Market Street for the Masses Coalition (MSFTMC) is a collective voice and resource for community organizations and companies to strengthen the social, physical and economic well-being of those living in the Mid-Market, Tenderloin, and South of Market neighborhoods. MSFTMC also now has a way to manage their site ongoingly, offer their member organizations a hub to connect, and feature all the ongoing community work. Our 6 person team worked to organize the content, produce the website, and develop an ongoing strategy for engaging the community. Thanks for all the work, team! We had a blast! This weekend, Arrow Root Media’s very own Kyle Stewart will be holding this year’s HACKtivation hackathon in San Francisco, where several non-profit and other socially aware groups will get together to collaborate on projects for their causes, focusing on homelessness this year. The event serves as a time for the community to get together and work together, not only to develop the projects, but also educate others and create new ideas. The event’s past success has drawn a diverse and great array of partners, including GoodWill, Spotify, and Code for America, and, of course, Arrow Root. With over twenty partners this year, the event seeks to create a lasting impact on the community. A large goal of these collaborative efforts is to fulfill the tech needs of a community as fast and economically as possible by drawing an effort from a group, rather than just individuals. The project was also recently featured on Torque Magazine, WP Engine’s source for WordPress Community News. Kyle and many others prepared for the event this past Wednesday at the weekly Civic Hack night hosted in San Francisco’s Code for America office. The event will start today, Friday, at 6 p.m. local time at Glide Memorial Church, with tomorrow’s hackathon session going from 9 a.m. to 1 a.m., and ending with a Sunday session 8 a.m. to 1 p.m. There will be a closing ceremony at 4 p.m. that day, as well, at the Code for America office. Costs for participation will be $20 for students, $40 for others. We’re excited to announce that in less than one week, we’ll be leading a WordPress Workshop in Berkeley. We’ll go over the basics, talk about hosting, review a few popular WordPress features, and get started on creating content. We’ll also discuss how WordPress differs from other systems, and what advantages there are to working with WordPress. If you can’t make it or don’t live in the area, you can still spread the word about our WordPress classes, and let others know! Not only is Jaki an innovative, collaborative, informed, inspired instructor, but the students are fascinating as well. They have great projects that they’re working on. I’m always delighted to hear about them. Their questions are often ones I will need answered along the way too. I’m so glad that Jaki weaves the students’ questions and comments into our class time. It’s been a blast! These remarks are high praise from a relatively non-techie person like me. This course has surpassed my expectations in every way. Jaki is the shining star in this course. He’s generous, wise, experienced. He has an amazing ability to address lots of random roadblocks that the students throw at him and still, for the most part, stick to his agenda. He’s even keeled and clear. The material is complex, but not for him, and even that aspect of the class is so valuable. Rubbing shoulders with someone who’s clear, logical, informed, creative and successful in this area makes the goal of constructing a WP website seem doable, even for us non-techies. This has been an awesome experience. I am very inspired to keep going with this. As the weekend is about to commence, so is Dance Films Association’s yearly festival Dance on Camera. It’s a cultural deep dive into movement, experimental collaborations and as noted on DFA’s website a “recognition that dance thrives best in the bosom of a creative community”. The perk of interdisciplinary nature of our clients often is exposure to unique experiences. Take a look for yourself! 2014 Dance on Camera from Dance Films Association on Vimeo. A relevant piece of Dance Film Association’s story is their legacy in their genre. In their 42 year history they’ve been able keep current and innovative. That’s no small feat. We have a lot to learn about how they’ve done this. I have a hunch that it might boil down to understanding their niche, being a member centric organization, and meeting the needs of their community of dancemakers and filmmakers. That’s where Dance Film’s Association has aligned with our expertise in WordPress web development. During our partnership, we have streamlined the process of accepting applications from filmmakers and created archives all the past festivals. This year we are launching a new phase of their membership system, using BuddyPress. This new system will allow members to connect more easily and share immediate information about their projects and expertise as dance filmmakers through groups. Groups will be small hubs oF connectivity to bring their global community of members closer. We’re excited to present the system to DFA members directly and get first hand feedback and thoughts on its use going forward. If you’re in New York come join us at Dance on Camera 2014! We guarantee you’ll leave inspired and ready to build something great for your community. We’re big fans of the arts (which is why we work with so many clients in the arts). This year, we’re supporting Dance Films Association by hosting and maintaining their WordPress site year round. Make sure to check out their 2014 Dance Films Festival lineup and catch the trailer for the festival below.